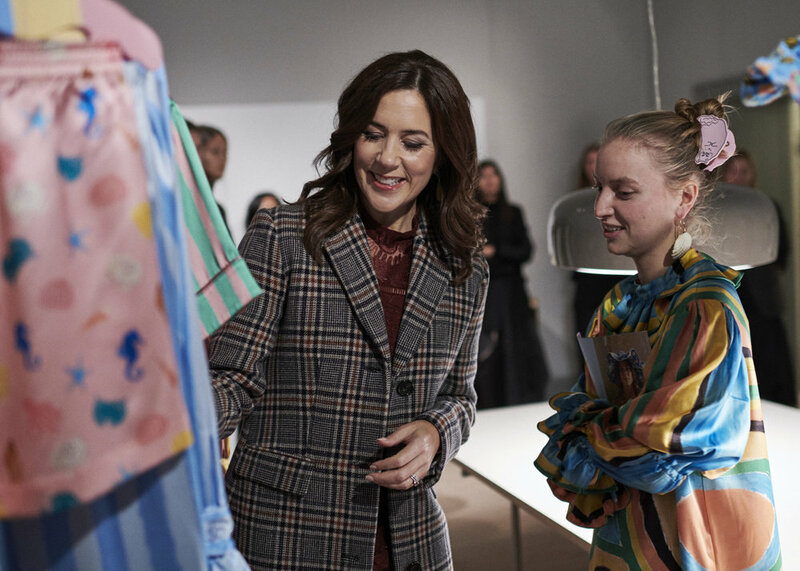 Since 2012, Magasin du Nord Foundation has been giving out the prestigious Magasin du Nord Fashion Prize awarded by the Her Royal Highness the Crown Princess (of Denmark), who for many years has been a champion of Danish Fashion. Last month, Magasin du Nord Foundation announced this year’s three finalists; Blanche, Helmstedt and Hyun Mi Nielsen. Blanche was originally founded and launched as a sustainable jeans brand in 2017 by Melissa Bech and Mette Fredin Christensen, and quickly became a darling among influencers and fashion editors alike. Since then, Blanche has also launched the Blanche Atelier collection, a ready-to-wear line focussing on fashion, trends and refined styling. From its start, the brand has been represented in some of the best and most popular shops. With years of experience from the Danish fashion scene, the two ladies have managed to create a popular sustainable brand. 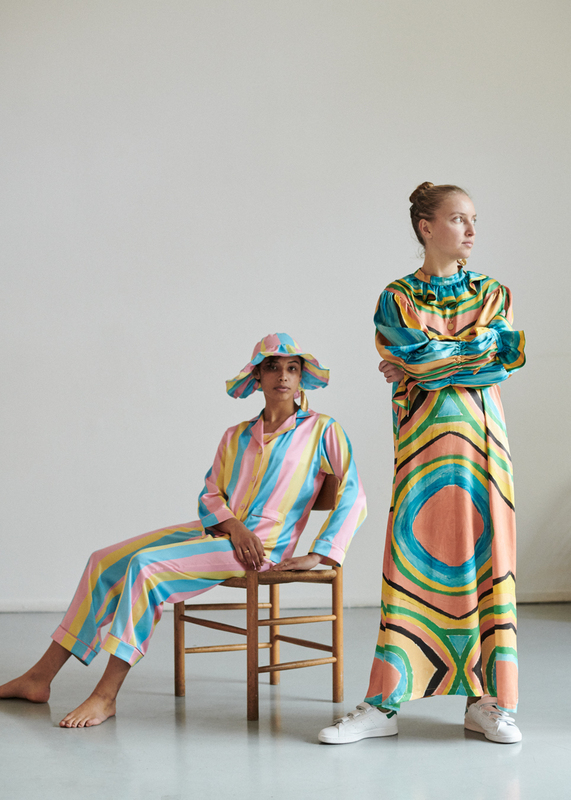 Helmstedt is the brainchild of designer Emilie Helmstedt, a colorful and playful universe with simple yet powerful silhouettes. Her easy-to-wear 30’s and 50’s inspired loungewear were exclusively sold in collaboration with the very popular high-end boutique Holly Golightly in Copenhagen. Emilie Helmstedt was originally trained as a tailor and graduated by 20, however, she is currently studying at the Royal Academy of Fine Arts. She has created a brand that has all the right ingredients of a heavy hitter within the Danish industry and with the right kind of support she is likely to go global eventually. Hyun Mi Nielsen is the creation of designer Christine Nielsen. She has quickly made a name for herself with her ethereal take on gothic detailing, organza draping and leather tailoring. At this years Paris Couture Week, she was invited by the French Fashion Federation to showcase her designs among staples in the world of fashion and did so quite brilliantly. 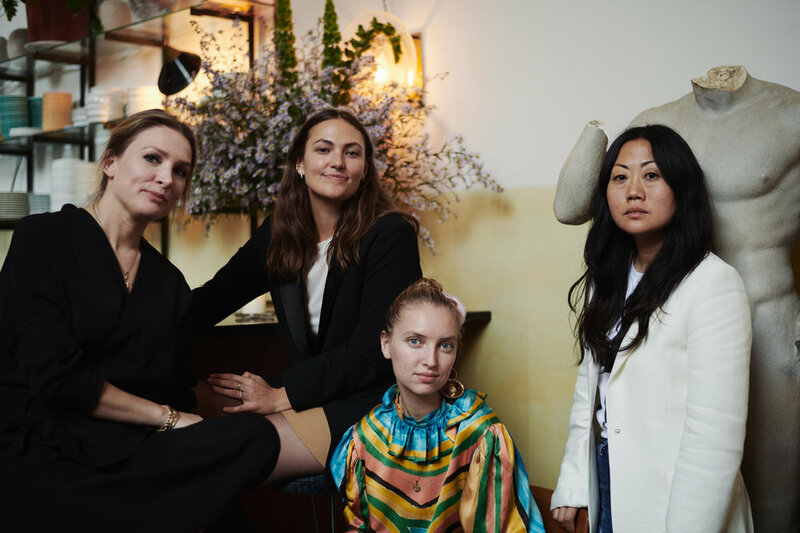 Christine Nielsen is far from new to the world of fashion, before founding Hyun Mi Nielsen, she has worked at fashion houses such as Balenciaga, Givenchy, and Alexander McQueen. While there is no question about her pedigree, starting from scratch can be tough and her ability to take on the hard tasks so easily will be an asset for years to come. Emilie Helmstedt received a one-year membership of Dansk Textil og Mode also received a grant of DKK 500.000, which will go towards expanding her design- and business concepts.